INDIANAPOLIS - Just over six weeks removed from a bid at perfection in his major league debut with Pittsburgh, Nick Kingham was nearly perfect once again back in Triple-A with Indianapolis. 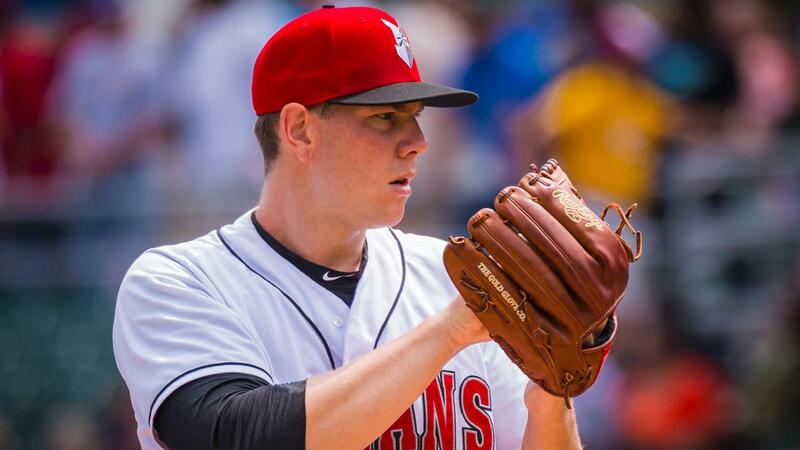 On June 14 at Victory Field, the Tribe right-hander breezed through Toledo's lineup with 8.0 innings of two-hit ball, fanning six along the way. Much like his April 29 MLB debut against St. Louis where he was perfect into the seventh inning at PNC Park, Kingham didn't allow a Mud Hens batter to reach until a slow comebacker off the bat of Dawel Lugo with one away in the seventh. The bouncer back to Kingham was to the third-base side of the mound and forced an off-balance throw that was off target at first base. The play was ruled an infield single. Despite seeing his perfect-game opportunity vanish, he retired the next two batters on flyouts. Edwin Espinal later singled with two outs in the eighth, but Kingham finished the frame to earn his third victory of 2018. Kingham's outing began with a strikeout of Mud Hens leadoff hitter Mike Gerber. He then punched out Dawel Lugo with a devastating 1-2 offering-an 87-mph slider off the plate. The Tribe scored one run in the home half and tallied two more runs in the second on back-to-back homers by Max Moroff and Ryan Lavarnway. Staked with a 3-0 cushion, Kingham worked a 1-2-3 third, punctuated by a Jarrod Saltalamacchia strikeout. Kingham picked up his fourth strikeout to end the fourth, retiring slugger Christin Stewart on an 86-mph changeup. He later dialed up 93-mph heat to finish off Harold Castro and the Mud Hens in the sixth. Kingham also delivered Indy's top pitching performance from the 2017 season, when he tossed an 85-pitch complete game against Syracuse on Aug. 10 at Victory Field. He allowed two hits in that start, walked none and struck out eight, yielding just one earned run for a game score of 89.